This kind of seems like the perfect weekend post. 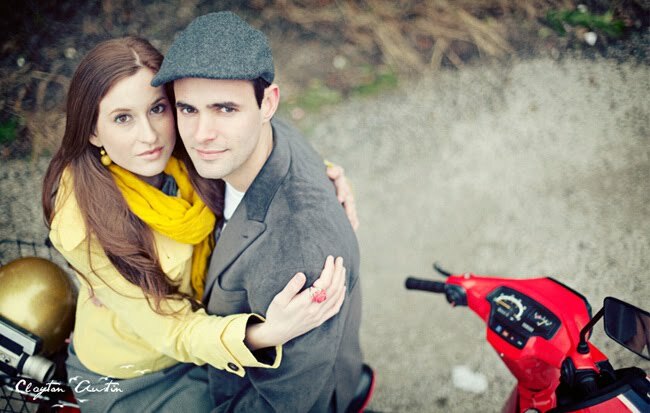 A stylish couple + a 1966 red vespa + the talented photography of Clayton Austin kind of equals perfect to me. Check out more from the session on Clayton’s Blog (including a video from the session!). Thanks so much Clayton for inspiring us always with your beautiful photos. Beautiful! I love the b&w; shoot of them sitting in the middle of the road. Ohhh I love this. The one where they're sitting in the middle of the road is so awesome. Awesome. Great use of bright colors. Love the one of them sitting in the road also. Adorable. Love how creative these shoots are getting. Such a treat. 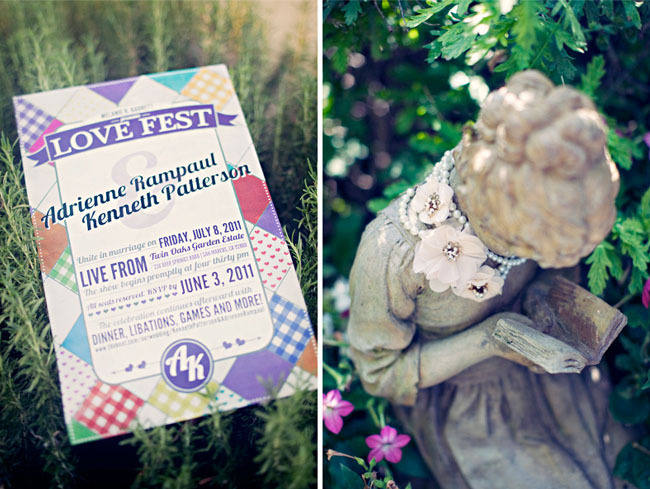 I am loving the primary colours in this shoot: yellow, red, and a little bit of blue. 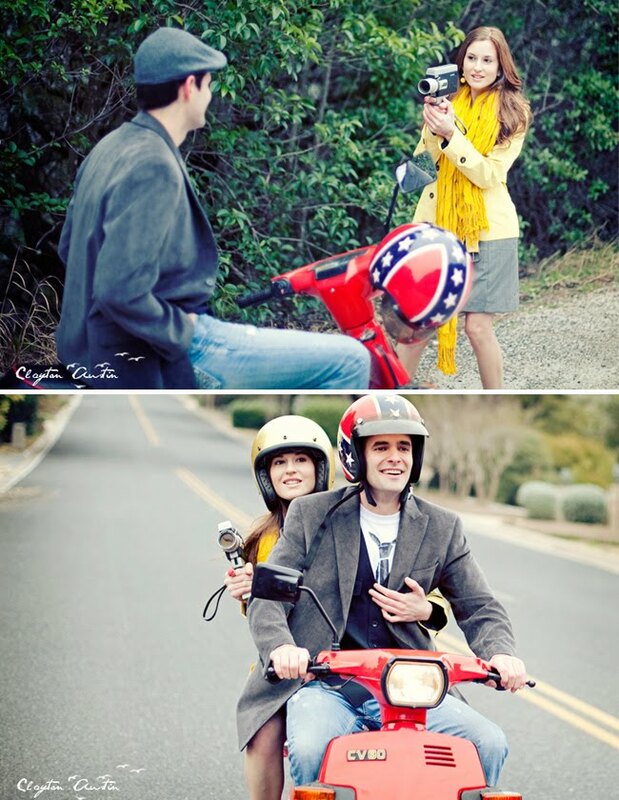 That vespa is so awesome too! 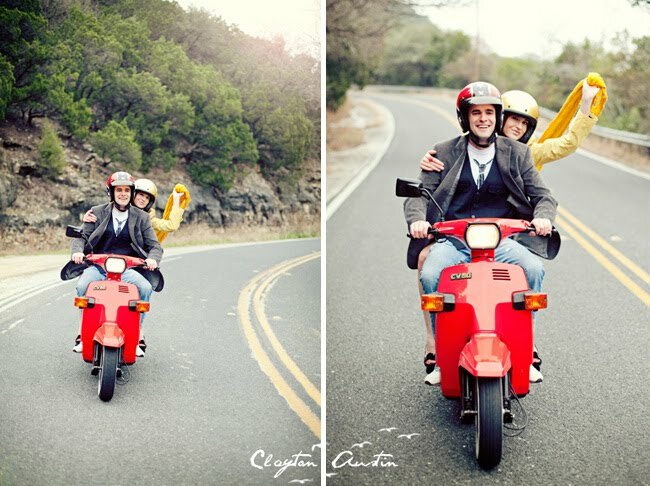 Love the couple's sweet moments on the highway.Photographer did a great job of capturing natural romance on the road!!! wow – your blog is such an inspiration to me!!! So wonderful and exciting!! Cute couple. They really look in love. love these shots! what were they for? love the crossing the street photo! It's official, I'm IN LOVE with your blog. I'm a photographer, but I'm a little bit obsessed with weddings and I happen to be engaged and planning an outdoor wedding in March in Vegas. I have gotten the best ideas from this blog. Thanks so so so much! I shoulda been in bed a long time ago . . .
That is NOT A 60s VESPA!!! Whatever it is its really cute! I love the helmets to match and the styling is so pretty! They look like they had sooo much fun! Love these. Actually had the opportunity to meet Clayton in person recently and he is not only a fantastic wedding photographer but such a nice person. Perfect match!